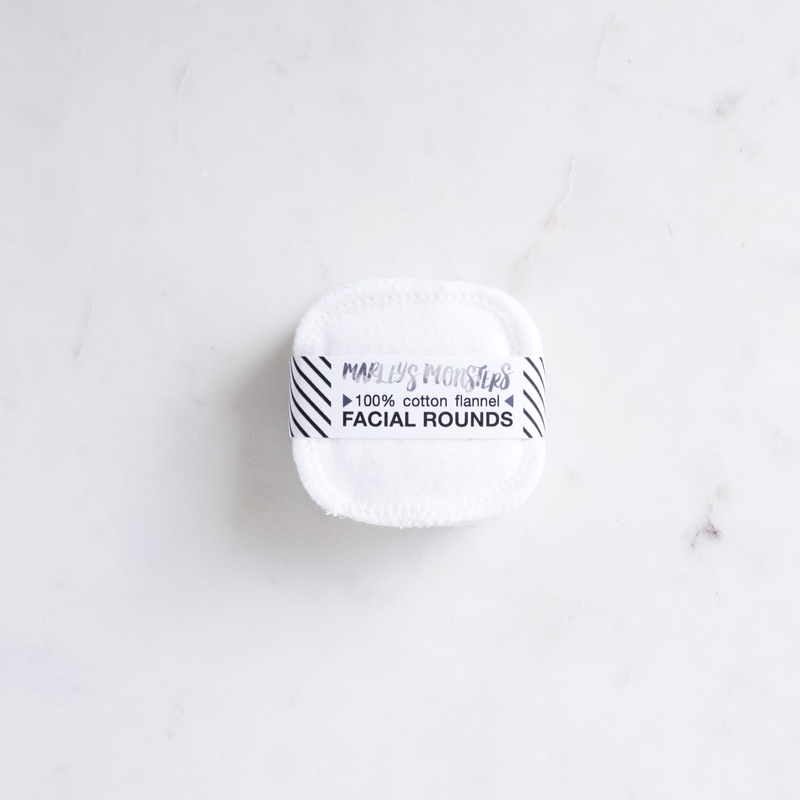 Save money and the environment with these Reusable Facial Rounds. Tired of throwing money down the drain on single use cotton pads? Not to mention all of that waste in landfills! These reusable cotton pads are soft and sustainable. Super gentle on skin, the pads have serged edges for durability. No fraying or coming apart. Best yet, they are machine washable. Use to remove makeup, apply toner, and any other beauty use you can think up. One package contains 20 pads and they come in white, natural beige tones, grey and black and lemon print. Use these soft, nontoxic pads to remove eye makeup, cleanse the skin, apply toner, remove nail polish, blot the face, and tons of other beauty uses. Machine wash in warm water with like colors and tumble dry.